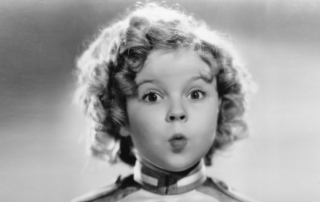 #RIP The World's Best and Most Beloved #ChildStar, SHIRLEY TEMPLE, Has Died. By Editor Tracy Bobbitt|2014-02-11T11:50:23-07:00February 11th, 2014|Categories: Breaking News, CHILD ACTORS, Former Child Stars, THE BUZZ, Then & Now|Tags: " "Heidi, " "Little Miss Marker, " "Rebecca of Sunnybrook Farm, " "The Little Colonel, " "The Little Princess, " and "The Bachelor and the Bobby-Soxer. ", ambassador to Ghana, American child actor, American Child Actress, American Child Star, Child Star, Child Star Shirley Temple, former child star, George Francis Temple, Gertrude Amelia Temple, Modern Day Shirley Temple, Most Famous Child Star, Shirley Temple, Shirley Temple Black, Temple starred in classic Americans movies: "Bright Eyes|Comments Off on #RIP The World's Best and Most Beloved #ChildStar, SHIRLEY TEMPLE, Has Died.